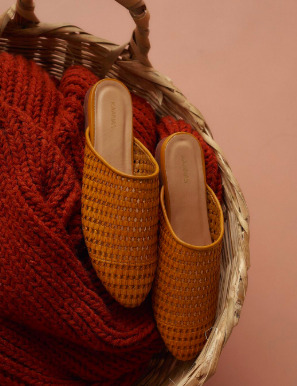 Four sisters, who grew up running their mother’s shoe factory in Colombia, have revitalized it into a Nordstrom loved brand, Kaanas. 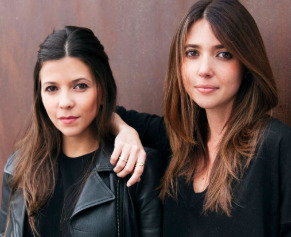 The sisters grew up attending trade shows, diving into suitcases of shoe samples and eventually running the factory. In 2013, they saw factories closing down as cheaper, lower quality products flooded the market so they founded Kaanas to help their family keep the shoe factory open. Kaanas produces high quality and socially responsible products in playful, feminine designs with classic silhouettes. The shoes have bold prints and quality craftsmanship, defining their collections and setting them apart from other footwear labels. Each style is also designed by hand through a network of artisans in South America, Central America and Africa. The family collaborates with these artisans to develop unique designs, and gives back to these communities by providing jobs and ensuring fair compensation. Kaanas is available for purchase online and in stores with major retail partners like Nordstrom, Shopbop, Revolve, Anthropologie, Everything But Water, ASOS and 500+ specialty boutiques nationwide. Acevedo Sisters: Always appreciate and value your parent’s wisdom and experience. They’ve already traveled a long and rocky path filled with knowledge and experience. There’s nothing more rewarding than coming home from a long work day and knowing you’ve given your all for your families well-being and that you should continue to give it your all each and every day.